The very first trailer of Hobbs and Shaw starring Dwayne Johnson and Jason Statham has been released online. Universal Pictures shared the trailer of Fast and Furious first spin-off movie which has a lot of ridiculous and illogical action. 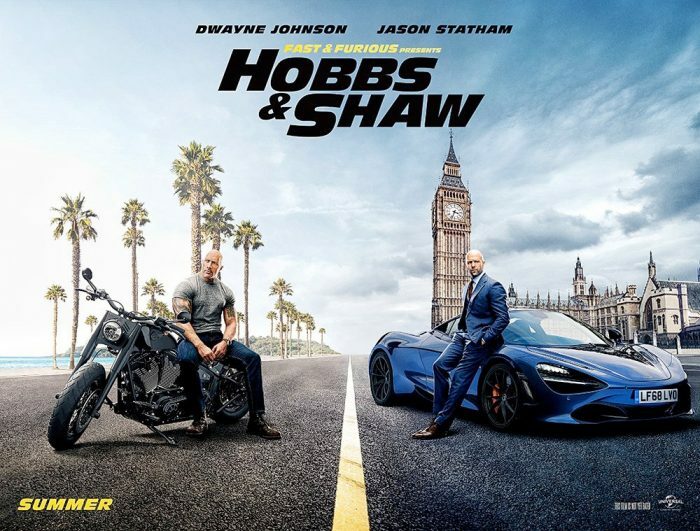 The trailer introduces Luke Hobbs (Dwayne Johnson) and Deckard Shaw (Jason Statham) who teams up to defeat the film antagonist played by Idris Alba. This will be the first Fast and Furious movie without Vin Diesel as earlier there were many conflict between Johnson and Diesel. The movie is directed by the David Leitch best known for Deadpool 2. Fast and Furious series already has given two movies with more than 1 Billion collection, now it'll be interesting to see how this spin-off will work with both the audiences and critics. Two years after the events of The Fate of the Furious, federal agent Luke Hobbs and former-British military turned mercenary Deckard Shaw must join forces in order to stop a new threat emerging from the cyber-genetically enhanced international terrorist known as Brixton. Hobbs and Shaw will be released on July 26, 2019.